The results of the Hunat Sugbu Triathlon in Oslob, Cebu, which took place last October 6 are finally out now (source: sugbutriathlon.com). As I already wrote about it on my German blog, I was not too happy about my performance that day. I was definitely aiming for a time under 2:30 h to make a Top 3 finish (at least in my age group) again but this time I was only able to come in 5th out of 34 triathletes in my age group. I just bought a new road bike only two days before the event, including aero-bars (the Philippine Ironman star Noy Jopson himself lent them to me for the race); I was not yet used to cycle in the aero-position, and moreover, I had no click pedals; that might make a big difference. My bike split with 1:12:39 h for 40 km was definitely my fastest so far but with an average of 33.8 km/hour I was at least 2 km/hour too slow. My run with 55:30 min for 10 km was terrible; after my new personal best time with under 1:40 h in my last half marathon in Cebu, I am quite sure that my run was at least 5 min too slow; I might have lost too much energy during the bike section to perform well in Oslob and my training was also focusing too much on swimming and cycling during the weeks before the event. 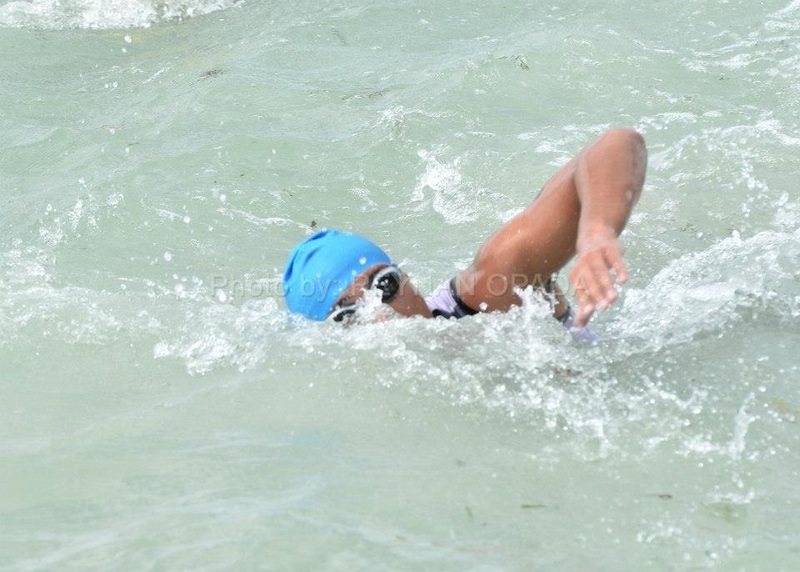 My swim with 34:03 min for the 1,5 km was good but not ideal, though I know that the circumstances with big waves were quite tough and I was a certain distance behind the first group right from the start; we did not know at all when the swim would begin, so I was not really starting from the first buoy. 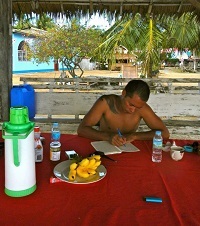 I was drinking pure water during the bike ride and not Gatorade as I used to or any other isotonic drink. During the 10 km run I felt that I was lacking energy and was struggling a little bit. The right nutrition is very important – even during a rather short Olympic distance triathlon. 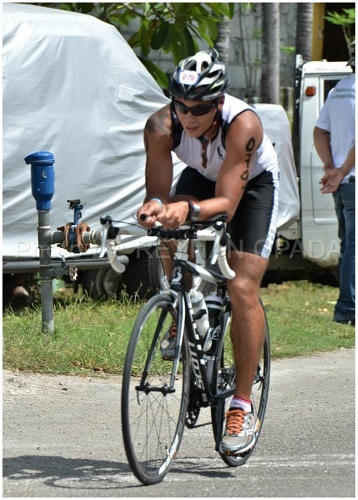 I was not too happy with my run at the Hunat Sugbu Triathlon in Oslob, Cebu. Image Credit: Darwin Hermoso Saromines. 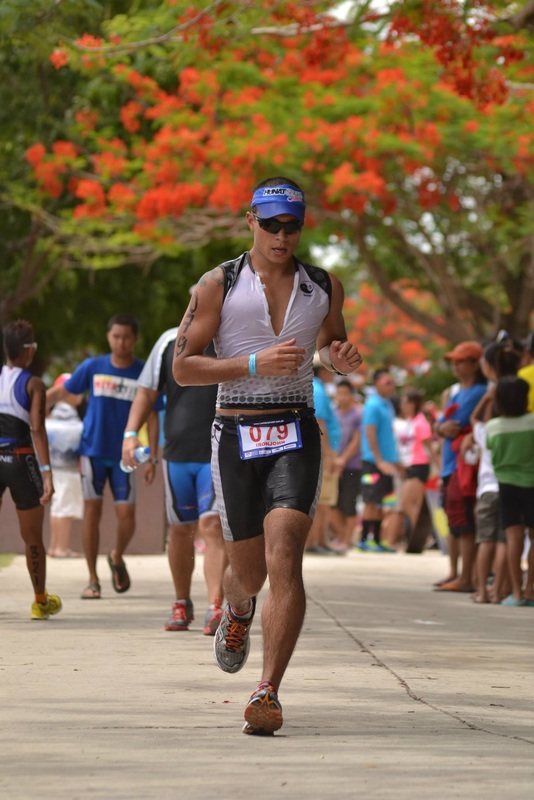 After the race in Oslob, I will try to improve my skills in all three disciplines; especially for the run at my first half ironman distance (Challenge Philippines) I will do some extra training sessions to make sure to finish a decent half marathon after the 90 km bike ride on February 22, 2014. One stop will be the Cebu Marathon on January 12th, 2014. Hope to see you all there!